THE Live well. Live organic. clean collagen 10G OF PURE CLEAN COLLAGEN. AVAILABLE IN MARINE OR BOVINE. Talk with one of our nutritionists or naturopath today. SUPPLEMENT APPLE CIDER VINEGAR WELLNESS SHOTS Flora What happens when you combine apple cider vinegar with herbs? If you ask us, we’ll say: some pretty serious magic! Meet Flora’s new Apple Cider Vinegar Wellness Shots. These daily wellness shots blend the highest quality apple cider vinegar with herbs and select botanicals like turmeric, ginger, elderberry, and red beet for an extra flavour kick. The result is the perfect combination of refreshment and revitalization, or—as we like to say—magic. Try all four blends: spicy Ginger & Lemon, rich and fruity Elderberry, earthy and aromatic Turmeric & Cinnamon, and sweet and earthy Red Beet. USE FACIAL MASSAGE ROLLERS LaVigne Natural Skincare Awaken your skin with the soothing vibrations of LaVigne Naturals’ facial massage rollers. This tiny tool packs an amazing punch as it helps cool skin, reduce puffiness, and stimulate collagen production which aids in reducing fine lines and wrinkles. Available in rose quartz, jade, and obsidian. on snow, a feat that landed him on the Ellen Degeneres Show. Weight loss and management can be challenging and often requires a multi-faceted approach. With 75 percent of vision loss able to be treated or prevented, there is a lot you can do to help your eyes. First and foremost, visit an eye care professional regularly. Second, make some simple lifestyle changes like wearing UV-protective sunglasses all year round, quitting smoking, exercising regularly, reducing alcohol intake, and increasing your intake of antioxidants and good fats. Lutein, zeaxanthin, and astaxanthin are antioxidants found in colourful fruits and vegetables. They are carotenoids (related to beta-carotene and Vitamin A) that have an affinity for the eyes, particularly the macula and the lens. Here they absorb damaging blue light, quench singlet oxygen, and inhibit lipid peroxidation. When supplemented, they can increase optical pigment levels in the retina and prevent or slow the progression of age-related macular degeneration, cataracts, glaucoma, and diabetic retinopathy. Omega 3 fatty acids are also crucial because eyes are really just an extension of our brain, which is 60 percent fat! Many clinical studies suggest DHA is the most important omega 3 for eye heath; it is only found in fish and algae, so I typically recommend supplementing to ensure you are getting enough. A typical DHA dosage ranges from 400 to 1,000 mg daily and even if you have 20/20 vision, taking a DHA supplement will also support your brain, heart, and healthy inflammatory response in the body. Many clinical studies suggest DHA is the most important omega 3 for eye heath. Are you getting enough? DR. JENNIFER DYCK is a naturopathic doctor, health educator for Natural Factors, and public speaker with a passion for empowering her patients to achieve optimal health. Dr. Jen has special expertise in treating digestive complaints, hormone imbalances, and brain-related health conditions. She has a busy active practice at Brix Wellness Clinic in Kelowna, BC. 1	The first is calculating “calories in” versus “calories out.” The general rule is in order to lose one pound per week, you will need to reduce your daily intake of calories by 500 or burn an additional 500 calories daily. 2	The second is the quality and source of these calories. Choose calories coming from nutrient-dense foods such as colourful fruits and vegetables, high fibre foods, lean protein, and healthy oils from cold water fish, olive oil, and coconut oil. Reduce inflammatory foods such as refined sugar, which can contribute to packing on the pounds. 3	The last component to consider is how your body deals with calories and the storage of fat. Hormones including thyroid hormones and insulin, as well as genetics, can dramatically impact how we assimilate nutrients and utilize them for energy. Consider getting screened for metabolic markers to rule out underlying reasons why you are either packing on the pounds or having more difficulty losing them. And remember, weight management can be challenging and often requires a multi-faceted approach. Eating well, exercising, being patient with yourself, and working with a professional to create a personalized health plan can provide more effective and long-lasting weight loss, and empower you to continue on a path of optimal health! You know that you can’t continually overindulge with junk food and poor lifestyle choices and sustain good health. Same goes for the planet. The type of food you eat—and where and how it’s grown—can have a profound effect on the environment. Monoculture, chemical interventions, deforestation, massive water use, and loss of biodiversity all pack an environmental punch on our limited natural resources. very time you shop and eat, you make a choice to support a healthy body and a healthy planet—or not. So, here are our top tips for how to pile your plate with foods that are good for you, and good for the planet. Buy LOCALLY •	Locally-grown often means fresher and more nutritious food because less storage and transport are needed. You also support local employment and the health of our economy. Choose QUALITY •	Buy certified organic from farmers and producers who promote biodiversity and soil quality. •	Look for growers and producers with sustainable values and clean ingredients. Approximately 1/4 of food produced for human consumption goes uneaten. •	Look for sustainably sourced seafood with the blue Marine Stewardship Council (MSC) label—in your supplements and pet food, too. In the US and Canada almost 40% of food is wasted. Every year American consumers, businesses, and farms spend $218 billion growing, processing, transporting, and disposing of food that is never eaten. Almost 60% of Canada’s imported food comes from the US. •	Eat more fruits and vegetables than any other food group—that includes legumes and grains. •	Eat in season for highest quality nutrition. Use what’s grown locally as your guide. Over half a kilogram of lettuce is thrown out for every kilogram eaten. The average person consumes nearly 100 grams of protein per day—twice the recommended amount for healthy adults. Just 1 cup of black beans has 42 grams of protein. •	Fossil fuels burned to produce fertilizers for animal feed crops releases 41 million metric tons of carbon dioxide (CO2) every year. •	Globally, deforestation for animal grazing and feed crops emits almost 2.5 billion tons of CO2 every year. We also lose the trees that act as carbon sinks to absorb harmful CO2. •	One 7 oz steak is equivalent to driving 50 kilometres. •	Per gram of protein, beef production uses 20x the land and generates 20x the emissions of bean production. •	Native plant and animal species are lost when land is cleared for animals and their food: US: over 260 million acres of forest has been cleared for livestock crop fields. Brazil: 3 million acres of rainforest land has been cleared to grow chicken feed. Amazon Rainforest: 100 million hectares of forest has been cleared for soybean feed. •	Almost 2,000 gallons of water is needed to produce 1 lb of beef vs. under 200 gallons for a pound of potatoes. 80 hamburgers = 10 years of showers. •	Heavy water use leads to drought and pathogen discharge into freshwater systems. •	About 477 gallons of water is needed to produce 1 lb of eggs. •	One third of marine (wild) stocks were overfished in 2015, with another 60% fished at maximum sustainable levels. •	5 lb of wild fish (for fishmeal and oil) are needed to raise 1 lb of farmed salmon or tuna. •	Choose field-grown over greenhousegrown produce. •	Eat raw foods—no cooking means energy savings. Reduce or Eliminate MEAT & DAIRY •	Go for quality over quantity: choose kinder grass-fed, whenever possible. •	Start by going meat-free one meal a day or one day a week. •	Choose a vegetarian option: bean over beef burrito, tofu over chicken curry, nut mylk over dairy for your oatmeal. •	Be a reducetarian: double the veg and halve the beef in your chili. Be a FARMER •	Be a local producer by growing a garden, or use a window box, patio pot, or window sill planter. •	Preserve food in season. Drying, canning, and freezing foods preserves all their goodness and saves you money when you crave strawberries in January. Plastic and styrofoam are a waste problem not just because they are usually used once, aren’t recycled, and take eons to degrade; made of oil, they are energy-intensive to produce and create toxic by-products. •	Buy in bulk and fill your own cloth bag. •	Plan ahead. Make a list and buy only what you need—especially fresh fruit and veggies which quickly lose their nutritional value. •	Eat your leftovers the next day or freeze for another time. •	Buy paper-wrapped meat or fish over the counter, rather than pre-packaged. •	Take your own reusable glass or stainlesssteel beverage bottle. •	Choose products in glass rather than plastic bottles and jars. Re-use for food storage at home. •	Cook in bulk to save energy. •	Freeze your meat and veggie scraps (except peppers and cruciferous) until you have enough to make stock or soup. •	If you must buy in plastic, buy large, bulk sizes. •	Keep your empties and get them refilled. •	Pay attention to packaging and opt for none, if possible. •	Bring your own bulk, produce, and shopping bags. Protein-packed, tofu creates 13x less greenhouse gas emissions than beef. Choose field or garden vs greenhouse grown. Fibre and protein rich, lentils emit 40x less CO2 than meat protein sources. Enjoy these low greenhouse-gas emission foods. Along with other cruciferous vegetables, it contains natural pest protection, needing less fertilizers and pesticides. Natural nitrogen fixers, peas convert nitrogen into a usable form for other organisms, and don’t need synthetic fertilizers to grow. The information in this poster is intended strictly for research and educational purposes, not as a diagnostic tool or a prescription for any ailment. Our clients’ customers are everyday consumers, like you and me, who want to lead healthy lives and want to know that the natural health and food products they use are safe and that what’s on the label is what’s in the bottle. We also want to be assured that the natural health and food products they’re buying and the ingredients in them are authentic, as pure and contaminant free as possible, and responsibly manufactured wherever they come from across the globe. ISURA uses comprehensive analytical testing and is audited regularly to ensure that we stay up-to-date and meet global standards set by the International Organization for Standards (ISO). ISO is recognized worldwide as the largest developer of voluntary international standards and we worked hard to achieve this accreditation. Tell us about your testing methods. GMO-genetically modified organisms, heavy metals, etc. ), that they are potent (potency is consistent with the label), and that they are made in a safe, reliable way (manufacturers follow GMP – good manufacturing practices). What equipment do you use at ISURA? and under fluorescent light. And our lab staff are specialists in analyzing natural health and food products. Tell us about the work ISURA does with universities and governments around the world. ISURA is proud to collaborate with university researchers and government scientists to develop better ways to ensure that our natural health products are non-GMO compliant, free of contaminants and adulterants, authentic and accurately labelled. Why should I care about contamination? Aren’t all natural health products safe? I can assure you that products with the ISURA seal on the label are safe and are what the label says they are, but unfortunately that isn’t always true of all products. The raw materials and ingredients for natural health and food products come from all over the world and in order to be sure that our clients’ products are safe, healthy, and effective – they need to be analyzed and tested – and that’s where ISURA comes in. Whether a product is made from seeds, leaves, or other parts of a plant; whether they are from sustainably harvested fish; whether they are an oil, a tincture, powdered or in a capsule – ISURA tests them all. The ISURA seal on the label verifies the safety, quality, and integrity of the natural health and food products inside the bottle! How do I know a product is certified clean by ISURA? Look for this ISURA seal of approval on product labels. BE SAFE. Reach for ISURA-certified products. Tested. Trusted. Seed-to-shelf quality testing By looking for the ISURA seal on the label of a natural health or food product, you know that the raw materials and ingredients in that product have been tested and confirmed to be pure, potent, high quality, and accurately labelled. Look for the ISURA seal – your guarantee of safety and integrity. Mass spectrometry working around the clock detecting over 600 contaminants/ pesticides, the most vigorous testing in the world. bacteria of 154 people and found that those with the smallest variety of bacteria were more likely to be obese. This means it’s not a certain strain of bacteria that’s the problem or solution, it’s about diversity—the difference between a desert and a rainforest. to rein them in, then we tend to receive more energy from our food. This means your old way of eating, that’s kept your weight balanced for years, may now cause your weight to creep up. finding that a few different families of bacteria may influence our metabolism more than others. What this means is two people can eat the same meal, but someone with low numbers of gut bacteria might get more caloric energy from the food. Lean people tend to have more bacteria called Bacteroidetes, which loves to munch on tough, bulky fibre found in plant-based foods. On the other hand, obese people tend to have more Firmicutes, bacteria which is great at extracting energy from food. Research has found those with more Firmicutes absorbed more calories from a meal versus someone with more Bacteroidetes. Gut Bacteria and our Hunger Hormone But that’s not all…some gut bugs help control the hunger-stimulating hormone ghrelin. Actually, a strain that we usually consider to be a bit sinister plays this important role: Helicobacter Pylori. H. Pylori has been connected to stomach ulcers, so wiping it out with antibiotics is usually the prudent thing to do. But, this bacteria might have some benefits too. A study of 92 people published in the journal BMC Gastroenterology in 2011, found that those who were prescribed antibiotics to eliminate H. pylori (due to digestive-system problems) also saw ghrelin levels rise six-fold. INCREASE PLANT-BASED FIBRES Those fibre-hungry Bacteroidetes love to graze on hard-to-digest plant-based fibre and starches. Enjoy a variety of veggies, fruits, whole grains, nuts, seeds, and beans every day to keep them happy. REDUCE PROCESSED AND REFINED FOODS These can reduce the diversity in your gut because they’re fully digestible so there’s no extra fibre for your gut bacteria to munch on! And Firmicutes loves refined sugar and flour. We Can Adjust the Balance of our Microbiome, yay! I’ve got very good news for you…and a little bad news. The bad news first: once H. Pylori is gone, it’s very hard to get it back. But if you’ve wiped it out due to ulcers or other digestive issues, it’s probably good it’s gone. And the very good news: with the exception of H. Pylori, we can make measurable changes to the strains and diversity of gut bacteria in as little as seven days. The American Gut Project, a very large crowd-sourced research project, has been analyzing our poop samples for many years and has found a basic truth: A diverse diet = a diverse array of gut bacteria. It’s simple, yet effective. AVOID ARTIFICIAL SWEETENERS A 2014 study found that sucralose, saccharine, and aspartame encouraged the growth of bacteria linked to obesity. If you prefer zero calorie sweeteners, try stevia or monk fruit. Or enjoy modest amounts of whole sugars like honey and maple syrup. SEED YOUR GUT WITH PROBIOTICS AND FERMENTED FOODS We live a much cleaner life than we did a generation or two ago, so we need to reseed our gut regularly so it can thrive. Simply take a good quality probiotic and enjoy a fermented food every day. 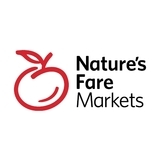 Nature’s Fare Markets has many probiotic options for you, as well as beautifully fermented foods like kefir, yogurt, sauerkraut, tempeh, miso, and kombucha. ou must first believe before you can achieve.” Have you ever really thought about the power of those two little words: I am. Think about it for a moment. Whatever you decide to put after those two words is the beginning of what you’re creating. The way we talk to ourselves, inevitably is what we become. That’s powerful! Thoughts become things. Humans are by nature exceptionally critical of ourselves and often we even allow a lot of what we think others think about us to be true. We may even allow these limiting beliefs to influence our own decision making and actions, and let that hold us back from truly becoming the person we want to be. and stick them up around your home so that you can see and read them every day. Some good places are your bathroom mirror, your front door before you leave the house, your closet… wherever you know you will read them daily! If you find yourself hitting any negative self talk, write it down and then re-write it as a positive. For example, if you hear yourself say “I am not fit enough”, redirect it to “I am ready to take the first step to change today”; or redirect “I am too old” to “I am full of knowledge and information to share with the world”; or change “I don’t know how” to “I am fully capable of learning to do anything”. Find the positive in your situation; it may take some practice, but writing it out and flipping it into a positive affirmation is the first step. That is really the ultimate goal here: retraining your subconscious to focus on the positive and aligning your beliefs to accept better in your life. You are 100% capable and in charge of creating your most dreamy life! Unlocking your potential is up to you. Dream it, believe it, achieve it. I would love to hear how the power of “I am” has worked for you! How fats and carbs affect your risk of obesity and diseases such as diabetes. Learn your predispositions to food sensitivities and your ability to metabolize alcohol. How quickly your body removes toxins and what you can do to adjust. Identifies your best exercise regimen and your predispositions to injury. Minimize your risk through our analysis and a personalized prevention strategy. Focuses on genes affecting cognition, stress, emotions and substance addiction. Customize a diet and supplements plan based on your individual needs. Focuses on your genetic predispositions around thyroid, estrogen and testosterone. hen functioning normally, the adrenal glands produce the cortisol hormone, which in turn increases blood sugar levels. Insulin responds to this by moving the blood sugar (glucose) into cells, thus lowering blood sugar again. This is healthy. Glucose vs Insulin Imbalances The net result of adrenal fatigue is that the body no longer creates enough cortisol. And that means it is less able to increase blood sugar levels when they fall. This might happen after eating carbs. Why? Because insulin reacts to carb consumption by lowering blood-sugar levels and your body lacks sufficient cortisol to restore balance. A few hours after eating, a condition called “reactive hypoglycemia” might occur. Trying a Keto Diet A keto diet can restore balance to blood sugar levels because it doesn’t rely on high carb intake to produce energy. Instead, it consists of fat (70 to 80%), protein (20 to 25%), and 10% max of carbs. When following this diet, the body goes into a metabolic state of “ketosis”, where it utilizes fat for energy instead of carbohydrates. In doing this, it calms the stormy relationship between cortisol and insulin. One of the ways adrenal fatigue can be eased is with a keto diet. While this may not work for everyone, there is a compelling explanation for why it’s worth trying. Adrenal fatigue creates an imbalance of blood sugar and insulin in the body, which causes a stressful fluctuation in energy levels and leads to exhaustion. It’s important to note that constant stress is a frequent factor in adrenal fatigue. A keto diet may not help if the cause of stress is unrelieved and, indeed, if it adds to the stress. But if your adrenal problems stem from an unhealthy diet or sedentary lifestyle, it’s worth trying as part of the solution. You can switch to a keto diet gently, too, by slowly increasing your intake of whole foods. As an aid to the keto lifestyle and stress, try supplementing with adaptogens such as ashwagandha, Chinese hawthorn, and schisandra. AERYON ASHLIE is a Holistic Fitness Coach, Best Selling Author, and CEO of Aeryon Wellness. After over 20 years battling with Bulimia and a negative relationship with food, Aeryon’s goal is to help others step into Health and Wellness Sustainability. Her latest venture of all-natural, scientifically formulated supplements is a result of personal experience with extreme Adrenal Fatigue and the desire for products that offer support for our current fast paced lifestyle. hile Easter is known for being all about egg hunts and chocolate, healthier options can always be included. These waffles are easy, filling, made with natural ingredients, and (deep breath) are paleo, and have dairy-free and keto options! Add some sliced strawberries, raspberries, a little maple syrup or icing sugar, and you’ve got yourself a stunning Easter brunch! If you have leftovers, you can keep them in the fridge or freezer and toast them the next day. I can’t wait for you to give these beauties a try! 1. Preheat waffle iron. Use a pastry brush to lightly coat surface with olive oil. 2. In a medium bowl, beat egg whites to stiff peaks. Set aside. 3. In a separate bowl, combine almond flour, baking powder, sweetener, and salt. 4. In a small sauce pan over medium heat, melt butter and almond butter. Stir into flour mixture. Once fully combined, add the egg yolks, almond milk, and vanilla to the batter. 5. Fold in the egg whites with a spatula (being careful not to break down the whites too much). The batter should be fluffy and light. 6. Pour about ¾ cup batter onto waffle iron. Allow waffle to cook. Waffle irons vary–experiment with the cooking time and temperature to get the results you prefer. (I like waffles crispy, so I cook it on the highest setting and for a little longer after the waffle iron goes off. To get the waffles even crispier, toast in toaster for a few minutes after removing from waffle iron!) 7. Brush waffle iron with olive oil before making each waffle. 8. Enjoy with your favourite toppings! Big flavour, lots of comfort, and not too much effort is exactly what weekends call for! We enjoy making traditional Chicken Tikka Masala with the sauce from Poppadoms, but this versatile sauce offers a world of possibilities that we were eager to explore. So, we got creative and the results are delicious—you’ll definitely want to try both of these recipes! 1. Preheat oven to 400°F. 2. Remove all leaves and the stem of the cauliflower, while leaving it whole. Lay it flat in a roasting pan, stem side down. Add potatoes, onion, and carrot to pan. 3. Rub cauliflower with avocado oil and sprinkle with salt and pepper. Toss the other vegetables with the oil, salt, and pepper. 4. Cover the roasting pan and bake for 30–40 minutes until it is just knife tender. 5. Remove from oven. Use a pastry brush to cover the cauliflower with the Tikka Masala Sauce. Return to oven uncovered for 10 minutes or until the top is golden. 6. Slice and serve! Poppadoms Tikka Masala Sauce pairs wonderfully with roasted winter vegetables. A warm and comforting dish made easy using a pre-made sauce! 1. Preheat oven to 375°F, and line a baking sheet with parchment. 2. Cut squash in half lengthwise, clean out pulp and seeds, and place flesh side down on baking sheet. Bake for 10 minutes. 3. Peel carrots and sweet potatoes. Cut into chunks and place on baking sheet with the squash. Continue baking for about 15 minutes or until the carrots and squash are fork tender. Scoop flesh out of roasted squash. Set aside. 4. Heat avocado oil in a sauce pan on medium heat. Add onions, garlic, and ginger and sauté until the onions are soft (not browned). Add the Tikka Masala Sauce and vegetable stock, and bring to a light boil. Add in cooked vegetables. Bring back to a boil. Add cashew milk. Using an immersion blender or regular blender, blend until smooth. You may need to add more milk depending on consistency. 5. Serve hot topped with plain yogurt and cilantro. ③ Write your goals down The simple task of writing down what you want, where you are going, and what your commitment to yourself is going to be, will keep you on track when motivation gives you the cold shoulder. I promise you will not feel like doing this every day, but the hard days are often the most important days! This journey is not just about the physical strength—it’s also about the mental strength you’re cultivating as you prove to yourself you can do this! ① Have grace for yourself If you find you need to take more breaks than you expected, you feel the need to throw up, or your child is screaming at you for attention…have grace. Change is challenging, both physically and mentally. Also, our kids can add some interesting dynamics to our new workout routine. If at first you don’t succeed, try again and again! Your body will adjust, it will get easier, and your wonderful little child will realize this is the new routine. ② Refuel Oftentimes we start new routines and then give our bodies nothing to fuel up with, leaving us craving sugar or excess carbohydrates. After sweating it out, make sure you re-hydrate with some water and a combination of protein and carbohydrates. Check out my website’s recipe section for some easy refuel ideas. Mom’s Home Workout SQUATS Keep knees over ankles, engage core, and press that booty back. LUNGES Press through your front heel, with shoulders over hips, and bring that back knee right above the floor. RUSSIAN TWIST Draw your rib cage down and in to engage your abs. Keep your chest lifted, shoulder blades down the back, and slowly twist side to side. PLANK Keep shoulders over elbows, core engaged, and squeeze through your glutes. It’s very important for new moms to watch for any tension in their lower back on this one, and if it feels like it’s straining your belly, simply perform the hold on your knees. SHOULDER PRESS With core engaged and small bend in knees, press arms above head and keep a small micro bend in that elbow in full extension. For a little extra burn, add a cardio element in between each one of these movements: 45–60 seconds of burpees, jumping jacks, squats jumps, or high knees. Do you or a family member or friend struggle with chronic digestive distress? Are you familiar with every public restroom in your neighbourhood? Is diarrhea, constipation, bloating, gas, indigestion, and/or nausea a regular (and unwanted) companion at mealtimes? Tummy Troubles and the Toilet Perhaps you’ve been diagnosed with IBS— Irritable Bowel Syndrome. Or you have some other form of inflammatory bowel disease with ongoing gut symptoms. Or maybe you’ve had your colon removed and suffer from frequent loose stools. IBS is, well, gut-wrenching—and embarrassing at times. Its symptoms can be debilitating and often lead to reduced quality of life. Constantly running to the toilet is agonizing and one’s existence can become very small and limited as social avoidance sets in. management strategy for IBS symptoms— called the Low FODMAP Diet—took the digestive world by storm with its threestep elimination, integration, and maintenance system. FODMAPs Explained “FODMAP” may sound like a Muppet’s name, but really, FODMAP is an acronym: Fermentable, Oligosaccharides, Disaccharides, Monosaccharides, and Polyols. Basically, FODMAPs are short-chain carbohydrates (sugars and fibres) that are ‘osmotic,’ meaning they pull water into the small intestine. This can cause diarrhea in an individual with a fast-moving intestine, and the person more prone to constipation may feel like they have a water balloon in their gut. FODMAPs are also fast food for gut microbes. When microbes ferment FODMAPs, the gas they produce fills up and stretches the intestine, leading to bloating, abdominal pain, and cramping. The combination of gas and water in the intestine packs a one-two punch, altering intestinal movement and contributing to diarrhea and constipation. FODMAPs are abundant. They are found in everyday foods—like milk, yogurt, wheat, barley, rye, apples, pears, onion, garlic, and kidney beans. And they are innately healthy for most of us who do not have IBS symptoms. There are high FODMAP foods and there are low FODMAP foods, and IBS sufferers often struggle with many of the high FODMAPs. The Low FODMAP Diet The Low FODMAP Diet is regarded as a learning diet. In other words, the goal is to determine one’s personal food triggers and ultimately find balance between tolerance of some higher FODMAP foods and avoidance of others. While IBS can’t be cured, the Low FODMAP Diet is a viable symptoms management tool that allows sufferers to take back control of their health—and their lives! If this sounds like an option for you, keep these tips in mind: •	Find a health professional to guide you through the ins and outs of FODMAP eating. •	Educate yourself—read up on pioneering work in this field. •	Enlighten your support system—get family and friends up to speed on your FODMAP food lists; talk digestive health with them. •	Remember that your digestive plan is unique to you—your trigger foods are your trigger foods, and what works for you, works for you. Don’t get sidelined by the latest health food trends. Experts are seeing progress around the world with the Low FODMAP Diet. This may be the tool you need to manage your digestive woes! Basically, FODMAPs are short-chain carbohydrates (sugars and fibres) that are ‘osmotic,’ meaning they pull water into the small intestine. This can cause diarrhea in an individual with a fastmoving intestine, and the person more prone to constipation may feel like they have a water balloon in their gut. Remove all high FODMAP foods from the diet to assess whether FODMAP-rich foods are triggering GI symptoms. This is a highly restrictive phase and not sustainable long-term. Work with a practitioner to reintroduce FODMAPs in a methodical manner, one food at a time. This phase is very individualized—every person reacts to different high FODMAP foods in different ways. Listen to your gut. Pay close attention to shifts in the FODMAPs that work and don’t work for you. Incorporate methods to manage/ reduce emotional stress to ultimately ease digestive stress. Today, the psychology of colour is an important tool in environmental and interior design and architecture, in fashion and décor, and in marketing to influence human response—physically and psychologically. Feeling blue. In a black mood. Seeing red. In the pink. Walk outside on the first clear day following days of gloomy skies. Lift your face to the sun to soak in its golden rays. Ahh…feel better? That’s chromotherapy—or colour therapy—at work. hromotherapy uses the visible light spectrum to adjust the body’s vibrations to frequencies that harmonize and heal. Every hue has a unique vibrational frequency, associated with a different physical or emotional healing property. Although considered an alternative or pseudo-science, colour therapy has been an integral part of ancient healing practices for about 2,000 years. Ancient Egyptians built solariums with panes of coloured glass to flood patients with colour, and the Greeks used coloured stones and minerals, crystals, salves, and dyes as remedies. The colour of garments was also important. “Colour…is part of the conscious, subconscious and unconscious, and an experience that it integral to human behaviour.” —Frank Mahnke Color, Environment, and Human Response Culture can also play a role. In western cultures white represents innocence and purity. In eastern cultures it’s the colour of mourning. Avicenna (980–1037), described as the father of early modern medicine, considered colour vitally important to diagnose and treat illness. He believed that red moved the blood, blue or white cooled it, and yellow reduced muscular pain and inflammation. In the quest for modern scientific proof, 19th century experiments by Augustus Pleasonton on the colour blue’s influence on the growth of crops and livestock, inspired the work of Edwin Babbitt and his book The Principles of Light and Color. How people respond to colour is deeply individual and personal but, universally, warm colours—red, orange, and yellow— evoke feelings of comfort at one end of the spectrum (think of a cozy fire) and anger and hostility at the other (seeing red when angry). Cool colours—blue, purple, green— are associated with calmness (the ocean or forest) but can also evoke sadness or indifference (a clinical coldness or feeling blue). Green in a library, yellow in an art studio, blue in a hospital. The right colour in the right environment can stimulate or soothe, energize or inspire, lift mood, and encourage healing. Feeling SAD? In dark winter months, many people experience Seasonal Affective Disorder, a type of depression. Reduced sunlight in fall and winter are thought to disrupt the circadian rhythms (our internal clock), and reduce levels of serotonin and melatonin, which play a role in mood and sleep patterns. Light and colour therapy that mimic daylight help to alleviate symptoms by stimulating brain chemicals linked to mood. Warm and invigorating, red boosts energy and appetite. Alleviates depression, and increases confidence, sexual appetite, and vitality. Soothing and protective, lighthearted pink stimulates affection and happiness. Relieves ear and gland issues and supports women’s reproductive health issues. The colour of joy and happiness, orange boosts mood and the immune system, soothes sore muscles—including menstrual cramps—and eases exhaustion. Cheerful and bright, yellow detoxifies body and mind, and inspires creativity and optimism. Lifts sluggishness and promotes healthy metabolism and digestion. Symbolizing growth and renewal, green is balancing and calming. Calms anxiety, great for heart and lung health, cellular growth, and fighting infection. Calm and serene, relaxing blue alleviates the symptoms of stress, and increases focus and concentration. Relieves headaches and migraines, eye strain, earaches, and sore throats. Connected to spirituality, purple stimulates insight and higher consciousness. Eases sleep disorders, asthma, eye/ nose/ear/skin issues as well as obsessions and neuroses. Primal and grounding, brown increases strength and energy and absorbs pain and sorrow. Relieves back, foot, leg and hand, and large intestinal issues. Promotes healing of body, mind, and spirit. Relieves depression and negativity, increases and maintains energy levels, and supports bone and tooth health. Colour is an expression of one of the five elements, each one carefully chosen to balance energy and bring harmony to living and working spaces. It’s 2019 and our culture is still uncomfortable talking about women and menstruation! Many teenage girls and adult women I see are shy or embarrassed when I ask them about their periods. What is so shocking, gross, or shameful about something that happens to half of the world’s adult population every month? Appreciating that this is still a taboo subject in many homes, it makes sense that there is little conversation around what women use to help with the blood loss each month. Recently, health and environmental concerns about the use of tampons have been hitting mainstream media. Considering that most women will use up to 12,000 tampons over their lifetime, it is something that bears more investigation! ampons have an interesting history. Ancient Egyptian texts describe using linen tampons, and Japanese scrolls describe using tampons made with paper. In 1879, around the same time menstrual pads were arriving in North America, the British Medical Journal published a paper on “Dr. Aveling’s Vaginal Tampon-Tube” in its section on the latest innovations in medicine. It described an applicator contraption with a small glass vaginal speculum, with a wooden rod. Yikes! Applicators were also used to decrease the amount of “touching” a woman would have of her vaginal area as well. Yeesh! During WWII, tampons became more commonplace as women were entering the workforce and wanted something reliable to help them deal with blood loss during a busy day outside the home. And during the 1960s and 1970s, tampons really hit mainstream as they represented more freedom for women. For many, feeling free from worrying about their menses increased their quality of life. Toxic Shock Syndrome first gained notoriety in the 1970s and 1980s after an outbreak of severe cases was tied to the use of Procter & Gamble’s Rely tampon. These super absorbent tampons created a perfect environment for bacteria to grow and colonize the vaginal area. considered negligible”. Dioxin is a known carcinogen and is linked to decreased fertility, pelvic inflammatory disease, endometriosis, and immune issues. According to the World Health Organization, dioxins are “highly toxic and can cause reproductive and developmental problems, damage the immune system, interfere with hormones and also cause cancer.” Although tampon manufacturers have made efforts to decrease dioxins, the vaginal area is a very susceptible part of a woman’s body to dioxin exposure. Most women wear 16 to 20 tampons per cycle. Women menstruate for 30 to 40 years, so the potential risk with dioxins is much more the cumulative effect. Dioxins are called persistent organic pollutants—they do not break down, and instead accumulate in our tissue with repeated exposure. The vaginal membrane is more absorptive than external skin, so using tampons is a source of repeated dioxin exposure. Cotton grown for tampons is also often sprayed with chemicals such as glyphosate. GMO cotton is a huge topic to discuss, but simply put, herbicides don’t belong in our vaginas! So what are our solutions? Should you be scared of tampons? Absolutely not! But let’s make some changes. Demand that manufacturers disclose ingredients in their products. Only buy 100% chlorine-free tampons (they can be bleached with hydrogen peroxide). Try to eliminate the plastic tampon applicators (or demand biodegradable options), or skip the applicator brands. Applicators have a huge environmental impact by filling up landfills, and are difficult to biodegrade. Imagine how many applicators there must be for 12,000 tampons per woman! Consider options such as reusable washable pads or menstrual cups, and clean these properly so you can use them safely for years. Menstrual cycles are natural and not dirty, so please try to switch the stigma around blood, hygiene, and our limiting beliefs about our bodies. As Christina Bobel, president of the Society for Menstrual Cycle Research said, “We have these societal stigmas into menstruation that stifle discussion and investigation. There’s a ‘just shut up and clean it up’ approach”. Time to make the switch in women’s health to something far more sustainable and supportive to our bodies! Women menstruate for 30 to 40 years—that’s a lot of products! Choose ones that are good for you and our planet. Get a 100% chlorine-free tampon. Look for one without a plastic tampon applicator (or that’s biodegradable), or skip the applicator kind altogether! Menstrual cups are clean and comfortable with a variety of sizes available for all body types. Since they’re reusable, they save you money and minimize environmental impact! Try non-chlorine bleached pads or a reusable washable kind. Have heard about period underwear yet? Find them soon at Nature’s Fare! High in collagen Great for hair, skin and nails! Daiya Duets Coconut Yogurt Delectable and dairy-free, Daiya Duets are little pots of creamy coconut delight! These convenient, tasty tubs offer a soy- and glutenfree vegan yogurt alternative in a portable package. Toss in the crunchy toppings for added nourishment and flavour—et voila, the perfect blend of plant-based bliss! Try these perfect pairings: Chocolate Coconut, Key Lime Crumble, Cranberry Harvest, or Salted Caramel Crunch­— for decadent, dairy-free joy. Zevia Organic Teas Tea lovers rejoice! Zevia brings you fair trade-certified, organic brewed tea in a can—lightly sweetened with all-natural stevia leaf extract. Black, green, hibiscus, and Earl Grey-based tea blends have you covered, with caffeine-free choices, too. Zero calories, zero sugar, real ingredients, lots of love. A smart pick for your next revitalizing cup—ahem, can—of tea! Still carefully crafted with your blood sugar in mind, with a new plant-based twist! SoLo Superfood Energy Bars offer you slow and steady energy, a punch of protein, and fibre-filled goodness. No empty calories here! Fill your tank with easily-digestible, low-sugar, anti-inflammatory, plant-based, nutrient-dense deliciousness. Get powered up with Nutbutter, Nuts and Seeds, or Fruits and Nuts… there’s a taste sensation waiting for you! Bonus: these energy boosters are gluten-free, too! Louis Pasture Pork Crisps Hand-made in small batches on Vancouver Island, these ketofriendly, preservative-free scrumptious crisps are the perfect soul-satisfying snack. Primal Sisters uses local, ethically-raised pork for melt-in-your-mouth, zero-carb nibbles of protein. Grab a bag for movie night at home—but be warned, you may not want to share with others! Try each addictive flavour: Dilly, Barbecue, or Original—for a taste of salty, snacky comfort. Save every day on all vitamins and supplements. We’ll beat any local competitor’s advertised price on same product and size by 10%. Get a 15% off coupon when you collect 50,000 Fare Points ($500 on regular priced items). Seniors save 5% each Wednesday and Thursday on regular priced items. 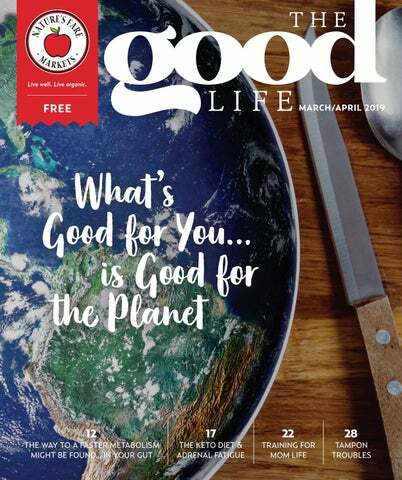 Live “The Good Life,” where family, community, environment, and health come first!